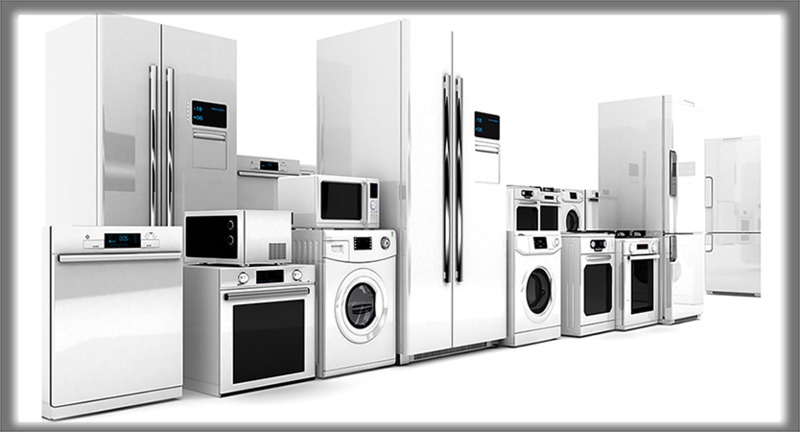 Call us today for home appliance repair services! "My dishwasher door won't close all the way ." Trouble-shoot and find help on our Repair Service page. Whirlpool, Maytag, Roper, KitchenAid, Kenmore, Coldspot, Amana, Speed Queen, LG, Samsung, Bosch, Thermador, Gaggenau, GE, Hotpoint, Frigidaire, Electrolux, Viking, and most other major brands! Refrigerators, Ranges, Wall Ovens, Cooktops, Microwave Ovens, Washing Machines, Clothes Dryers, Dishwashers, Trash Compactors and Garbage Disposals. They have been doing service for us for many years. Fast, reliable service, and always able to fix the problem. Most recently, repaired our leaking front load washer for a fraction of the cost of buying a new one. Highly recommended. Came out to my house on two separate occasions when I was having issues with my refrigerator and wash machine. I received a quick response, he was on time for the appointment and he was knowlegeable and explained the problem in depth, along with options for repair. Happy customer! Arrived on time, and quickly solved our refrigerator problem. Great experience! Would highly recommend to anyone needing repairs. Careful observation showed my gas dryer was lighting properly, but when cycling to control temperature, did not reignite, with rattling of the solenoids. Jay agreed the solenoids needed replacement and scheduled a visit for the following day, when he replaced them and retested the dryer: prompt service and successful outcome! Had a gas leak in my range. All MG and E did was disconnect it and shut it off. Appliance Service Pros came out and located the leak and got the replacement part the next day. It's been working perfectly for a week now! Thank you! Excellent service! Honest, friendly and prompt! Thanks, Jay! Oh, and he repaired the problems!!! Found time for me very quickly (esp considering he handles phone calls AND visits! ), did a great job on my room AC, knew just how to get it open and figured out very quickly out why it was leaking ALL over! Hurray for Jay and my un-soggy rugs! Has fixed/repaired our appliances for many years. Good service and fair price. Five stars..